Here in Los Angeles, we’re barely fazed when another wacky wellness and beauty trend (“Vampire” facials, V-steams, and “earthing” to name a few) comes along; in fact, we’re game to try them all. That said, it’s pretty priceless to find something with lasting power. Enter Shape House, an urban sweat lodge in which patrons partake in FAR infrared therapy by laying snugly in heated beds, sipping alkaline water and catching up on your favorite TV shows. Sound too good to be true? There’s actually a lot of science to back up Shape House’s claims of helping you have better and deeper sleep, stress relief, faster metabolism, and more youthful looking skin (among many other benefits). Approaching its 5th anniversary, the business opened its 4th location on Robertson Boulevard earlier this year, will have Montauk pop-up in July, and a home in NYC’s Flatiron District not long after. Considering such expansion, as well as the celebrity testimonials and countless press mentions, it’s safe to say Shape House is not just another wellness trend. 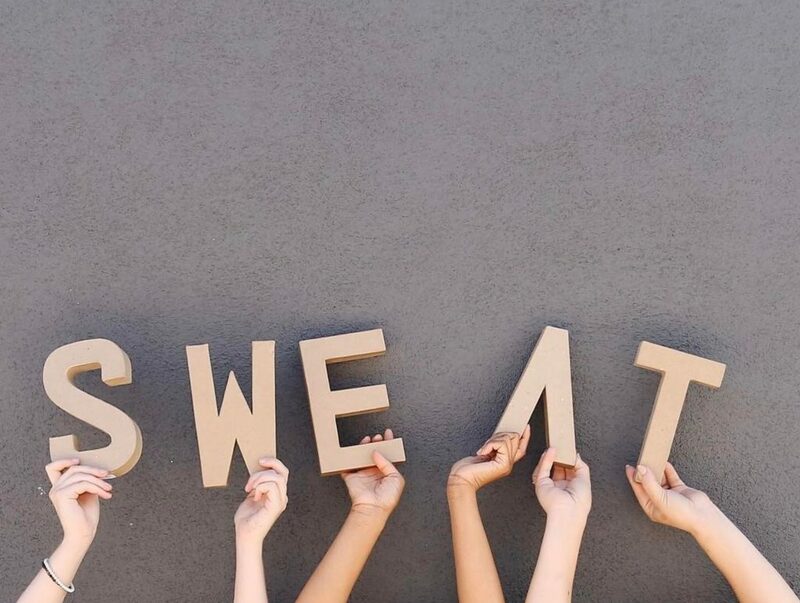 We recently chatted up founder Sophie Chiche to get the scoop on why sweating at the studio is so effective, what she loves about being a part of the West Hollywood Design District, and her best client feedback ever. The location in the WeHo Design District is your most recent—what do you love about being in the area? One of my favorite things about specifically being on Robertson is how central that street feels for everybody. It has its own identity where I think people will go, “oh perfect, because I love the restaurant across the street! I can have food right after.” The chamber and everybody in The District has done such a good job at making it such an identified neighborhood, not just another street in LA. We pick areas that have that village-y destination kind of feel. How did you begin your own health and wellness journey? I lost a lot of weight—about 180 pounds—and when I was on that journey I discovered that sweating was a very integrated part. I’m one of the only people I know who has lost so much weight and kept it off. It’s very hard to maintain, especially with the psychological aspect, but sweating helps with a lot of these angles: you’re not as stressed, you sleep better so you’re not exhausted and you tend to eat better foods the next day, as opposed to piling on coffee and sugar—which actually makes you crash. Then of course there is the hormonal balance; with my hormones I used to crash and then eat and my insulin would be crazy and my thyroid wasn’t doing its job. My internal clock was kind of messed up. Now I’m overall holistically more well-balanced, and sweating is a really a big component of that. Can you explain the advantage of infrared sweat versus other types of sweating? There’s been some research around people sweating more traditionally: they used people that run and bike and measured the toxicity of water that came out of their bodies. It was only around 5% on average. When they did the same thing with people sweating with our infrared technology, it was 29%, so we’re not talking a little bit. It’s becoming very clear that in order to detox, the kind of sweating we do is actually more efficient. If you think about it, when you work out your muscles are engaged, they’re hard; when you lay in our bed you melt like a puddle, so the water that’s carrying the toxins out is able to do so much easier. It’s like a river: when there’s a rock, it has to go around. When there’s no rock, it just goes. What’s the biggest misconception about infrared heat therapy? For a while a lot of people were comparing us to a workout or to hot yoga, but it’s its own thing. It serves a different purpose that nothing else was before. When yoga came on the scene and people had only been exercising in gyms, it was a different thing. Is yoga better than working out? I don’t know, it’s a different thing. Now we have so many athletes coming in to restore faster so they can train better. The athletic community is starting to recognize the different benefits. Shape House also offers a lymphatic drain: what is this and who is a good candidate? I discovered the machine because through a friend who had a heart attack—but obviously that’s not what we are using it for here. It works similarly to acupuncture or acupressure in that it gets your blood moving, which helps your body function better all around. People use it like a flu shot: it boosts your immune system and circulates your blood so you have more energy. It helps my eyes, which are very weak naturally. After a session, it makes the colors more vibrant! Not everyone has that experience but I think it says something. Additionally it helps with water retention, digestion, and sluggishness. If you think about it, blood is the key to health—it moves traffic. What’s the best feedback you’ve ever heard from a client? I have two stories: one was a woman who had lupus, and she had the really bad kind where your hands are crooked and you’re really impaired. She said the session made her body relax in a way it hadn’t in so long and she hugged me on the way out and she said, “You know what I’m going do when I go home? I have four children and I’m going to be able to hug them all.” The other was a woman who called me one day sobbing and said she’d been on sleeping pills for 12 years, she’d been to Shape House two times and on the third time she came home at night and laid on the couch to watch TV and fell asleep before she could even take her sleeping pill—and slept through the night. What’s your best “pro tip” for anyone curious to try Shape House? Try not to do your first sweat after a night of drinking. I don’t tell people this, but it actually really helps with a hangover but in my opinion it makes it too hard on the body and could make you more dehydrated. For the same reason, don’t drink coffee right before; come in as hydrated as possible. We give you alkaline water before, during, and after your session but it’s always good to come already well hydrated. Book an appointment at Shape House‘s newest location at 653 North Robertson in the West Hollywood Design District.